The latest sales figures for AMD Ryzen and Intel Core CPUs are in, once again showing the red team dominating the market share and claiming the top spot for three straight quarters at MindFactory, Germany’s largest retailer. The latest report has once again been compiled in a brilliant fashion by Ingebor at Reddit, so let’s take a good look at the numbers. If we look at earlier market share reports from the same retailer, we would see that AMD has been leading both market and revenue share. In fact, this is the third straight quarter where AMD Ryzen CPUs have outsold Intel Core CPUs. There are several reasons to why Intel sales declined over the duration which is mainly due to their inability to produce enough 8th and 9th Gen processors due to a constrained 14nm production. This not only led to less Intel CPUs available in the market but also meant that those CPUs that there was a price hike on various retailers with CPUs selling much beyond their MSRPs. 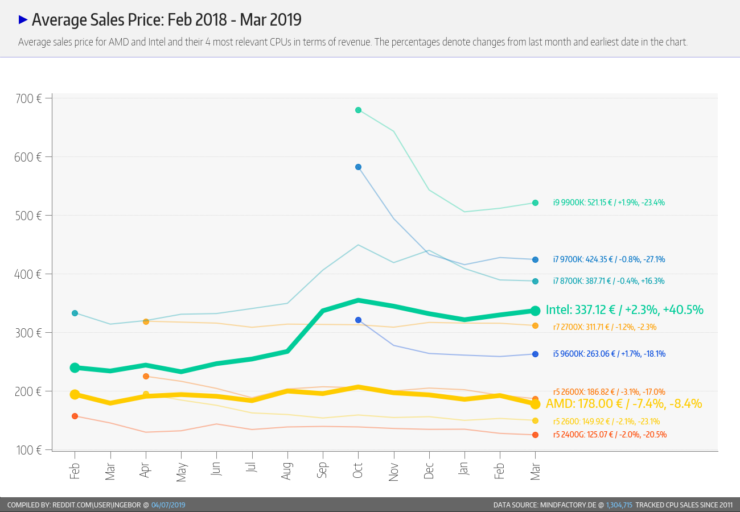 The latest report for the month of March (2019) shows that the retailer sold around 69% of CPUs that were AMD-made while the rest 31% were part of Intel’s family. AMD sold (~13,000 units) more than twice the number of CPUs as their competitor, Intel (~6,000 units) at the German retailer. 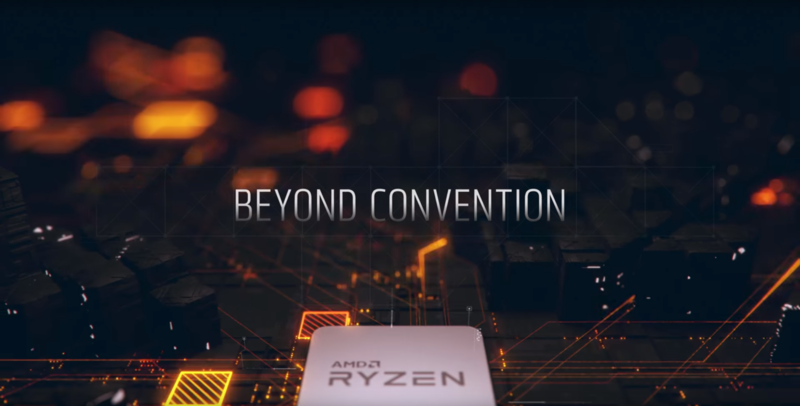 The report also shows that between the two flagships, the AMD Ryzen 7 2700X ended up being much more popular than the Intel Core i9-9900K. The reason is quite simple if we think a bit, the Core i9-9900K costs almost twice as much as the Ryzen 7 2700X so we are looking at two completely different price brackets. On AMD’s front, the most popular CPU was the 6 core, 12 thread, Ryzen 5 2600 (non-X) which is a pretty good mainstream CPU. 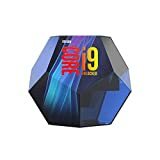 On Intel’s front, there Core i9-9900K flagship was the most popular despite being over $500 US. If we move over to the revenue report, we see that the difference is lower with AMD processors amounting to 54% and Intel CPUs amounting to 46%. The higher price of the Intel CPUs makes up for their lower sales numbers. Despite that, we can see why AMD CPUs are more popular with the mass majority of mainstream DIY builders adopting them. With a market share of 15.8%, the highest since Q4 2014, AMD is looking in pretty good shape. The AMD desktop CPU share is climbing steadily and it is all due to a strong product portfolio which will soon be expanded by a more refined and updated 3rd Generation Ryzen family in mid of 2019. The Intel CPU shortage is expected to continue until late 2019 as per industry reports as the blue team continues to prioritize 14nm server chips over consumer parts. 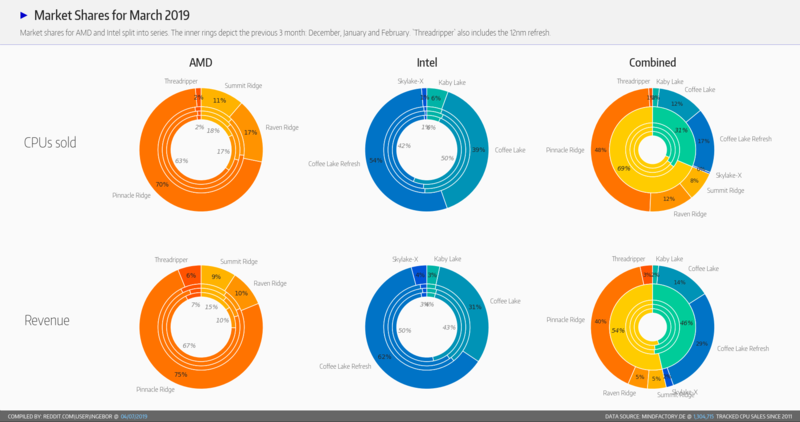 If this continues to be the trend and until Intel fixes up production for their upcoming Comet Lake lineup, AMD will continue leading the charts. Which processor are you currently using in your PC?